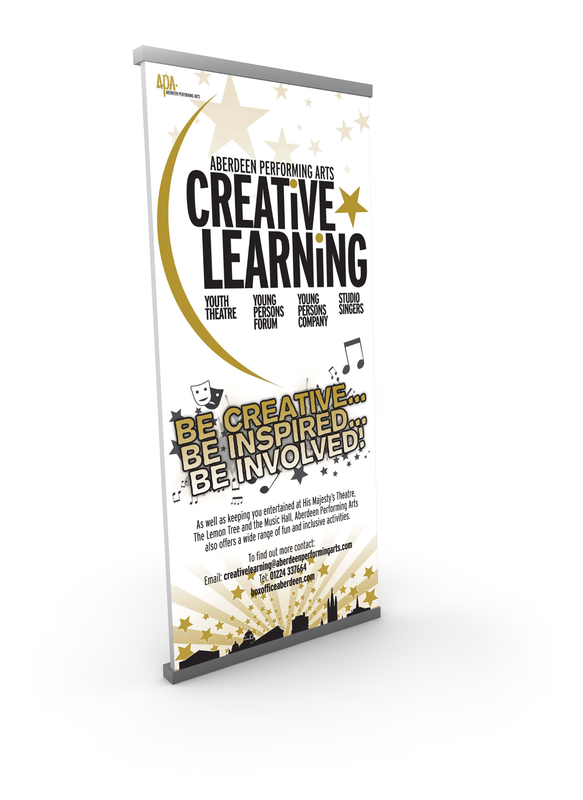 Series of material created for the promotion of the Creative Learning department of Aberdeen Performing Arts, an umbrella organisation responsible for three venues in Aberdeen, Scotland. I worked for several years as Marketing & Design Assistant, during which time I developed the basis of all my design skills that I employ today. 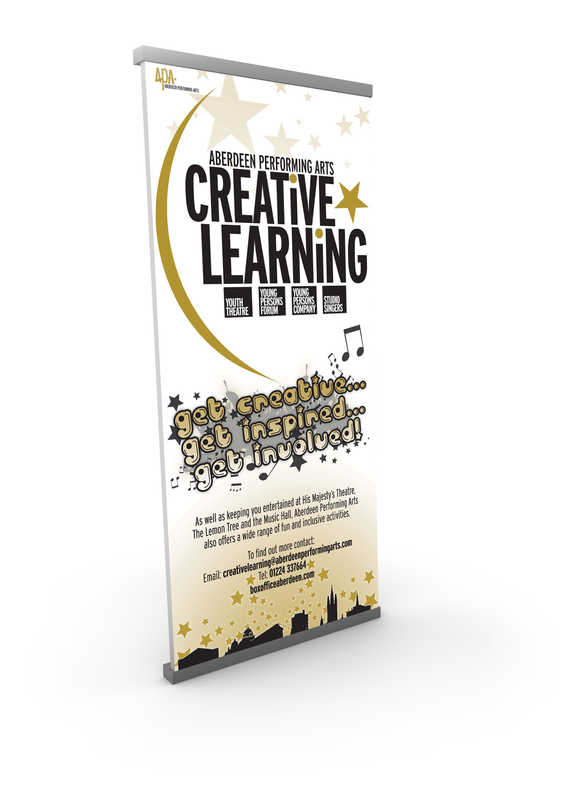 Final version of the Creative Learning pull-up banner. This was displayed across the company's three venues and at external recruitment events. Alternative version of the pull-up banner. Experimented with several typeface choices as well as variations on the display of the different aspects of the Creative Learning department. 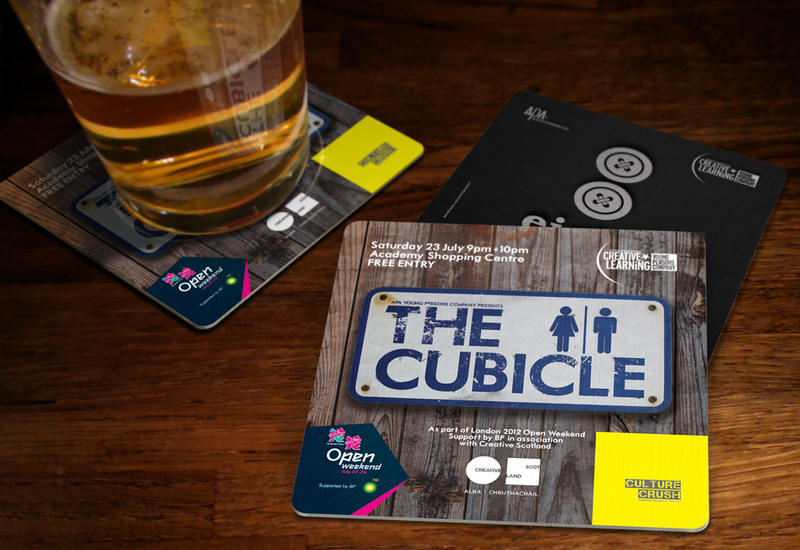 As The Cubicle was to be performed in a pub and marked the company's first foray in to play-and-a-pint territory, we decided to create beer mats for display in bars across Aberdeen. 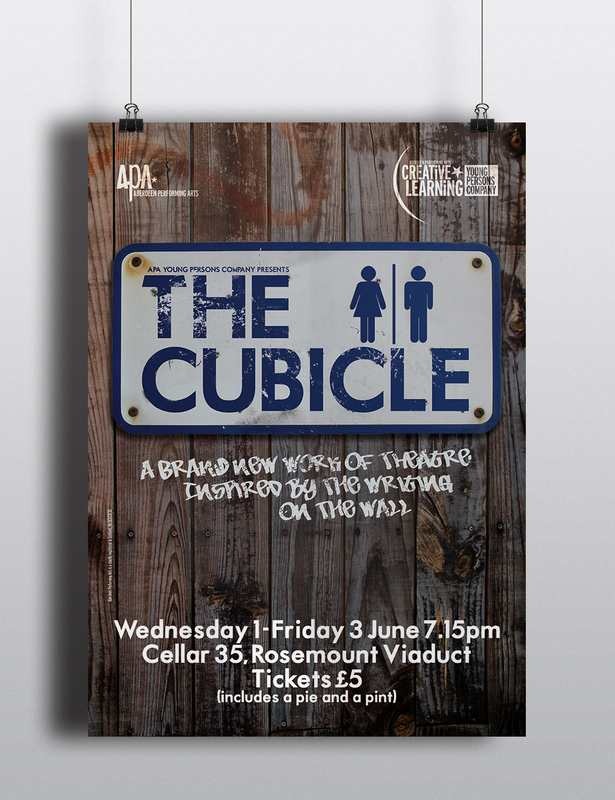 Two versions were created - one in advance of the night and a second for display on and after advertising another play by the group. The second of the two beer mat designs. 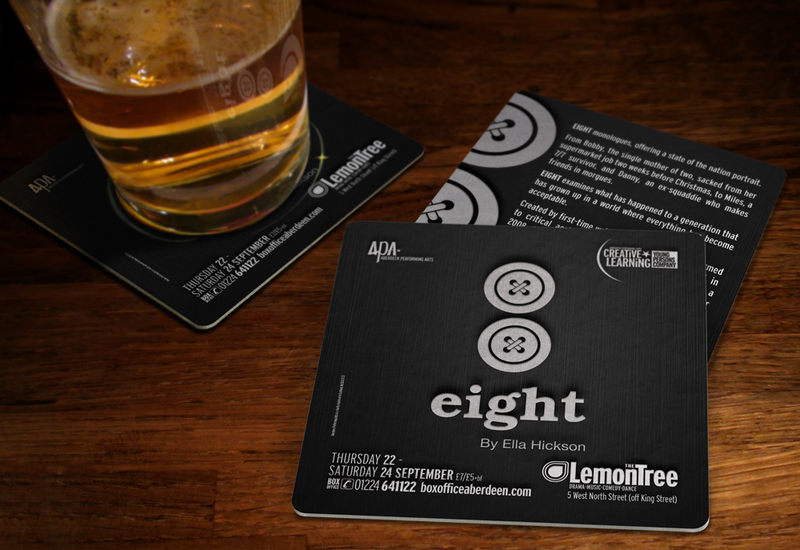 Figure of eight buttons and the 'eight' type was created by a visual art student on commission for the play. I then reworked this to fit the company's brand guidelines and the format. 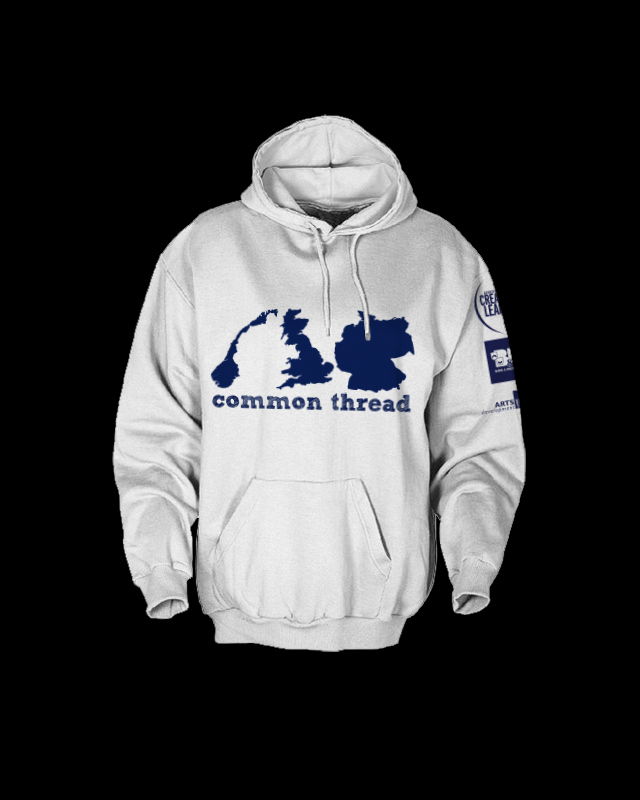 Required to design a simple hoodie design for a project where the participants got to travel to youth theatre groups in Norway and Germany. The brief was highly specific, and also needed to include the logos featured on the sleeve. 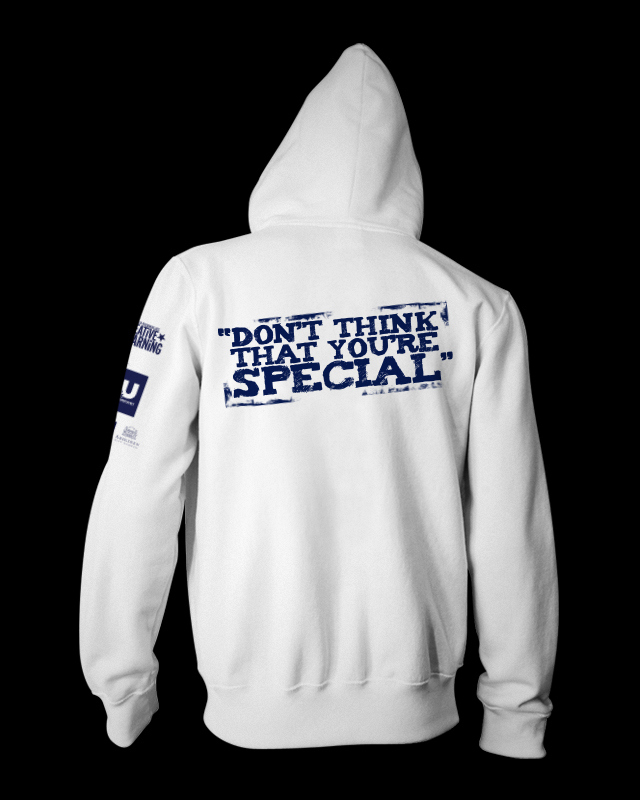 More leeway for the reverse of the hoody, I used the tagline for the show in the font used for the front of the design and made it a bit more impactful with the quote marks and grungey extras.